Only 114 pieces in stock! Handcrafted with a blend of clays, activated charcoal, and organic flowers to decongest clogged pores, clarify dull and blotchy complexions, gently exfoliate, and restore nutrients to skin. This activated charcoal face mask with French green clay pulls out impurities and clears pores so that nutrients can settle in and help restore skin barrier functions. Hibiscus, willow bark and sugar extract gently exfoliate without irritation and also deliver antioxidants that protect against free radical damage. Rose and chamomile help soothe and calm aggravated skin. Activated Charcoal // Treated with oxygen to create more active regions to chemically bind with toxins (hence why it is called “activated” charcoal!). When applied topically, activated charcoal cleansers stick to and pull out dirt, oil and toxins, providing a deep clean that helps prevent breakouts. Hibiscus Flowers // Called the “natural botox plant” because if its firming and lifting properties, hibiscus is high is natural alpha-hydroxy acids. AHAs exfoliate, promote cell renewal, help prevent acne breakouts, boosts moisture in skin, and improves elasticity. Hibiscus is also high in water-soluble antioxidants and Vitamin C, which help fight off damage-causing free-radicals, reduce inflammation, and promotes a healthy complexion. French Green Clay // Mined from bedrock quarries in France, this clay is untreated, sun dried and 100% natural. It contains tons of beneficial minerals, like silica, magnesium, calcium, iron, and montmorillonite. This variety is said to have the ability to absorb toxins and impurities. In addition to its skin boosting benefits, it also works wonders when ingested for stomach aches, and to soothe sores and wounds when applied topically. Chamomile Flowers // Chamomile is a small white and yellow flower that is high in flavonoids, terpenoids, oxides, and azulenes (chamazulene is what gives the essential oil its beautiful blue color). It rich in antioxidants, is an antimicrobial, and has antibacterial effects to help clear skin of bad bacteria. It is also a powerful skin healer and anti-inflammatory. Willow Bark // Willow bark contains salicin, a natural alternative used to create salicylic acid. When applied topically, salicin has been shown to help reduce the visible signs of aging by gently exfoliating skin, promoting cell renewal and reducing the occurrence of acne breakouts. It also has antioxidants and works as an antimicrobial. Sugar Extract // Sugar is a natural source of glycolic acid, an exfoliant that helps slough away dead skin cells to help reveal a brighter, more youthful complexion. Masking is not just about skin care, it is also about self-care. Before mixing your mask, take a moment to prepare your space for comfort. Dress in some comfy yet pretty clothes, or prepare a warm bath with minerals and hydrating coconut milk. Take this moment, while the mask is working, to decompress and be in the moment. Inhale a few deep breaths, and thank yourself for taking the time to take care of you. Start with a small amount of the mask (about ½ a tbsp.) and mix with about ½ tsp of either water, a hydrosol, herbal tea, or one of our toners, until you reach your desired consistency. It’s best to start with less liquid and add more as needed. Apply paste to clean face and let dry (10-15 minutes). Remove by rinsing with warm water. Follow with a swipe of our Neroli Clarifying Toner on a cotton pad. Finish off with a facial oil or balm. For best results, use after a herbal steam. For combination/oily skin, ry mixing with honey, green tea, diluted apple cider vinegar, witch hazel hydrosol, orange blossom water, or our Neroli Clarifying Toner. Fabulous mask! The first time I used it, I could tell it was sucking out all the icky stuff from my face. Afterward, my face was so soft that I could not stop touching it! Great mask to get junk out! Work pretty well but the instruction is confusing. The instruction for the charcoal mask is somewhat wrong - it does not really work. 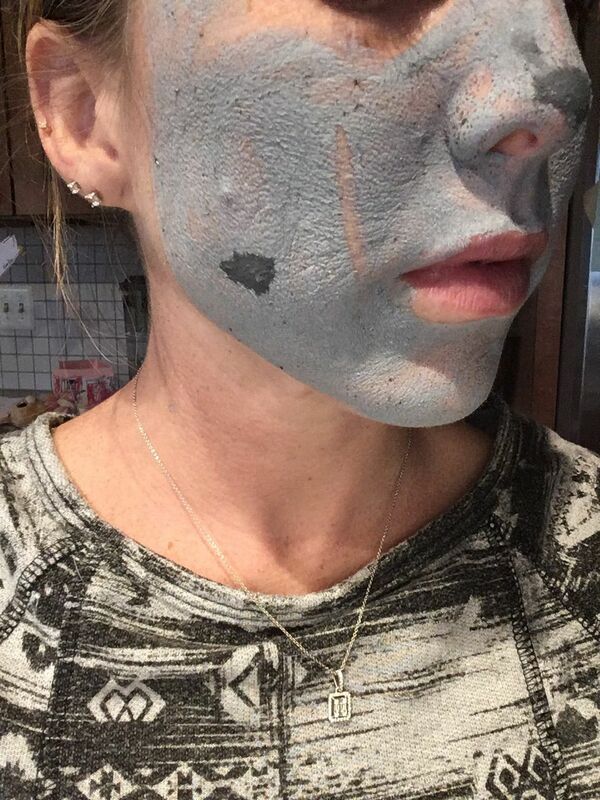 1 tbsp of charcoal mask should mix with at least 1 tbsp of liquid to start to form a paste. Love everything from the packaging, to the smell, to the way it feels before and after. My face felt very firm while the charcoal mask was on, but soft and supple afterwards. It dries quickly and I found after my first use that a little goes a long, long way. 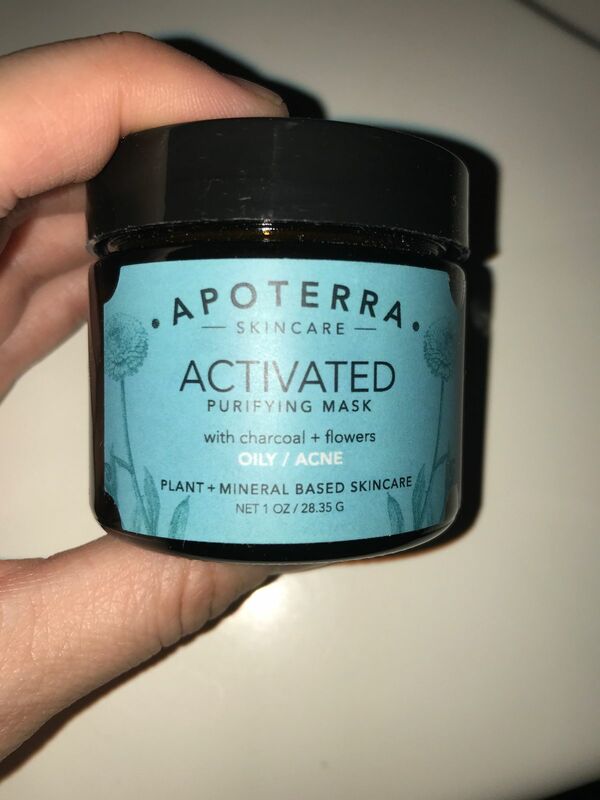 I’m loving all my apoterra products and am happy I found them. This oil has done such wonders for my skin. You will not regret it! I use it in my morning skincare routine as well. Love, love, love for my combination, acne prone skin. This mask has been great for keeping my skin clear and smooth! My skin is so soft afterwards, and it this really helps keep my complexion even and clean!